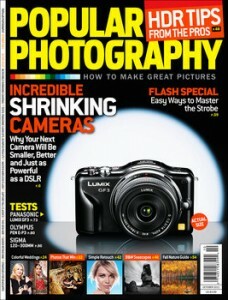 Tanga has Popular Photograph Magazine subscriptions for $4.99 with the coupon code SOUTHERNSAVERS! You can get up to 3 years at this price. Popular Photography Magazine will make a great gift for a newbie or seasoned veteran alike and the delivery time of 8-14 weeks puts it right in line for a Christmas gift! Remember, this deal is valid for today, 10/15, only.